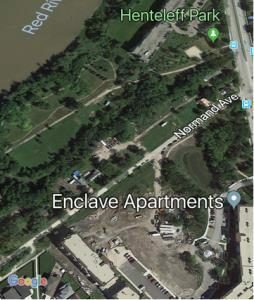 Thank you for your emails regarding the proposed development along Normand Avenue. I have been informed by the City Planners that a development application has been made for this project. Once a formal application is made to the City, I am not able to speak to the applicant or community residents about the details of the project. All rezoning and subdivision applications conduct Public Hearings at a Community Committee, and in this case, the Riel Community Committee. I sit on this Committee with Councillor Mayes and Councillor Allard and anticipate a public hearing will be held late spring. Given that this application will come before the Riel Community Committee, My inability to speak to members of the public stems from the requirements of the Development Procedures By-law (By-law #160/2011). As per Part 4 of the Development Procedures By-law, all members of the hearing body constitute an impartial body that ‘hears’ all sides on the merits of the proposal in a public forum before making a recommendation or decision (as the case may be). Contact with members of the public, including the applicant, discussing matters related to the application outside the public hearing is considered inappropriate in this quasi-judicial forum. I also encourage you to contact our Clerks Department for more information on the Public Hearing process (see links below). You will be able to make a presentation if you so choose to. A large sign will be posted on the property stating the date of the public hearing. I do not know when the sign will be posted, perhaps late spring. The planner will know more.